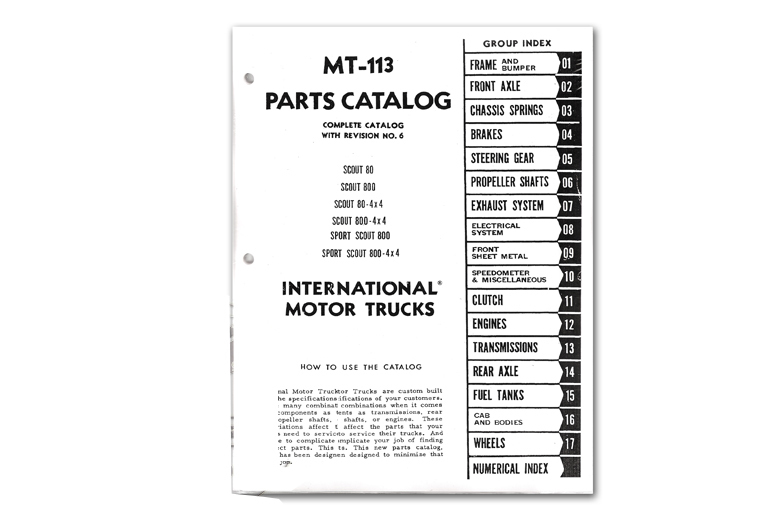 MT113 Parts manual, Scouts 1961-68. This authorized I.H. edition provides numbers for every part in most Scout 80's and 800's. We recommend you use this in conjunction with the CTS_2302 Service Manual.